You know what the Google machine needs? Abso-fraking-lutely, it’s another movie podcast by a pair of loudmouthed wannabe filmmakers/critics arbitrarily spewing vitriol or adoration about their cinematic adventures. 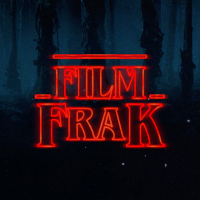 The FilmFrak podcast, just what you always wanted, right? Your hosts Adam & Jon are a cantankerous duo of one-step-from-rehab movie junkies haphazardly bullshitting about all things that feed their cinephiliac obsessions. From the latest new releases all the way back to the silent era. Across all genres and types, blockbusters to micro budget shorts, animation and documentary there are no limitations here. Who knows where this goes? They certainly don’t but if you want to find out give Adam & Jon a listen below.